Gurtam, fleet management and GPS tracking systems developer, has announced plans to participate in CeBIT technology trade fair, which is taking place in Hannover, Germany. The digital industry's biggest international event is scheduled to be held from March 1 to 6. CeBIT is one of the most famous and largest computer fair, where worldwide known exhibitors share their knowledge, ideas and innovations. Exhibiting companies are looking there for new business contacts and they, actually, get them as CeBIT brings together great ideas and people. This is the right place for linking the suppliers and customers of office and information technologies. Gurtam is attending CeBIT for the third time to offer new solutions for businesses and will be exhibited in Hall 11, Stand B61. In Hannover Gurtam staff will present Wialon — well-known software platform for GPS and GLONASS tracking. Besides, this year company has planned the presentation of Wialon SDK — a software toolkit that allows to create custom applications and modules based on Wialon Hosting. We can provide free one-day tickets to CeBIT anyone interested in GPS tracking services (both companies and individuals). 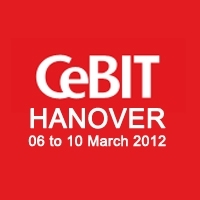 If you want to visit CeBIT-2012, you can order a ticket via email pr@gurtam.com. CeBIT is known as the top IT, technology and communication platform which is «the meeting point of ICT industry», that’s why participation in CeBIT 2012 opens new prospects to Gurtam and leads the company to a new communicational level with existing and potential customers.